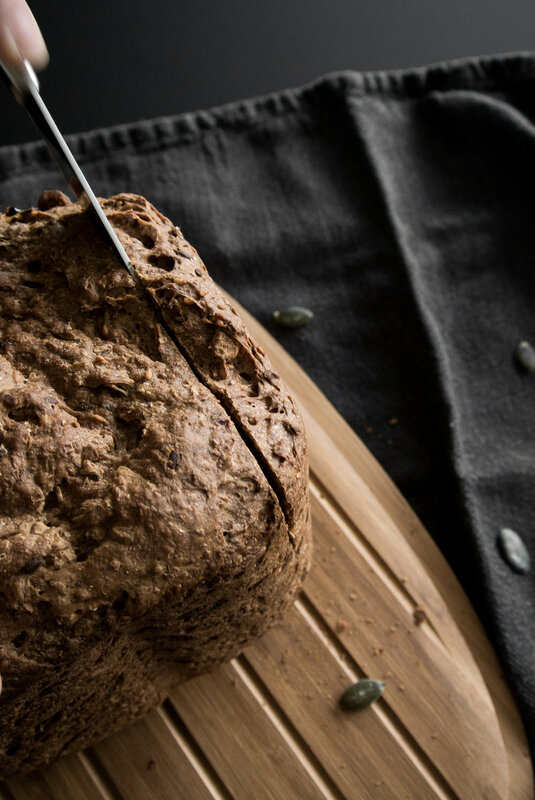 Since a few weeks we started baking our own bread with a breadmaker, which is such an easy way of making your own fresh bread. And, is there any better smell then freshly baked bread? Don’t think so. We are doing it the easy way: we are using an organic spelt flour bread mix. You only have to add some water to this mixture, but we like to add some extra ingredients. We made our own seed mix with flaxseed, sesame seed, oats, raisins and cranberries, pumpkin seed, sunflower seed and walnuts. With every bread we bake, we add a cup of this seed mix, together with some extra water and some sesame oil or butter. It gives the bread so much extra flavour! Either it is for lunch with a salad or for a simple dinner with fresh soup, it’s such a luxury to have a warm bread on the side. We went for a black breadmaker of Inventum, cause hey, I like that it fits our kitchen as well. Together with the beautiful breadbox of Rig-Tig by Stelton, it completes our breadbaking experience. This post is in collaboration with fonQ. Also inspired? 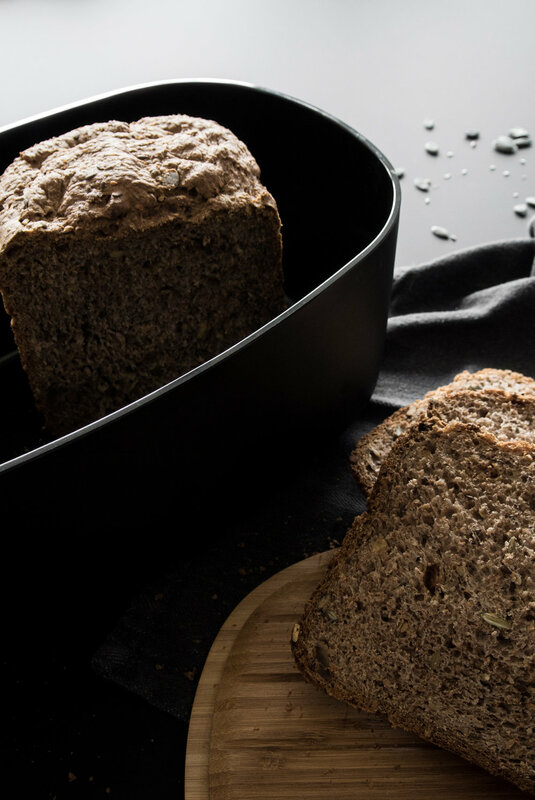 Check here all bread baking essentials on fonQ.